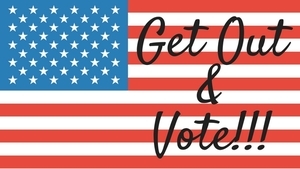 The League of Women Voters of Northern Fairfield County (LWVNFC) will present “The Suffrage Movement in Connecticut” from 11 a.m. to 2 p.m. on Tuesday, Sept. 25, in Room 103 of Warner Hall on the Western Connecticut State University Midtown campus, 181 White St. in Danbury. The event is free and the public is invited. Attendees will have the opportunity to register to vote at this National Get Out the Vote Day event. Free pizza and refreshments will be served. LWVNFC President Judy Griemsmann will open the event with introductory remarks and student member Timia Graham will talk about the Connecticut suffrage movement. Graham will give a PowerPoint presentation highlighting its history, issues women fought for and the resistance they faced. She also will discuss the LWV from its formal organization in 1920 to today. The LWVNFC serves Bethel, Brookﬁeld, Danbury, New Fairﬁeld, Newtown and Sherman. The organization encourages informed and active participation in government, and seeks to increase understanding of major public policy issues and influence public policy through education and advocacy. The LWVNFC also registers voters and provides election information through voter guides, as well as candidate forums and debates. Every two years, the LWVNFC co-hosts the 5th Congressional District Candidate Debate, and also schedules Meet the Candidates forums and breakfast events.